Congratulations! You’ve done it! You’ve found the perfect gift: a beautiful bouquet from Westmount Florist. Now there’s only one thing keeping you from the bliss of knowing your amazing gift is on its way to be delivered, one thing standing in the way of you rejoicing in a job well done and earning credit for being a professional gift-giving genius: A BLANK CARD. For some, writing a card is an easy task. If words eloquently flow from you like a poet speaking prose, then this post is not for you. However, if you’re like the vast majority of our Montreal customers, writing a card can feel like an impossibly daunting task. Thinking up the right thing to say or the best way to express yourself can leave you feeling hopeless and at a total loss for words. 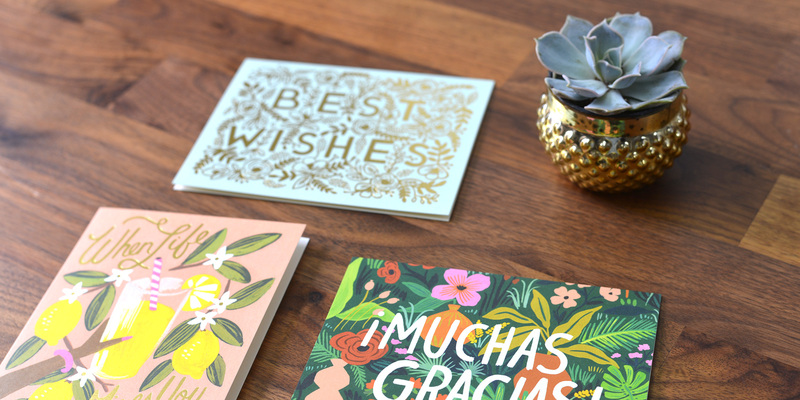 Here are some tips to help you get through the card writing process and on to the blissful state of flowers well sent! When writing a card to accompany a flower delivery it’s important to consider the personality of the person you’re writing to. Is this the type of person who loves to laugh? If so, consider adding in a joke (being cheesy in cards is completely acceptable, and perhaps even encouraged) Do they cherish memories and love to reminisce? Make a quick mention of one of your favourite times spent together, ex: “Getting lost together in Amsterdam is still one of my favourite holiday memories!” You are trying to get a reaction from your recipient, so before you start writing consider what you want that reaction to be. At both of our Montreal flower shop locations we have blank cards and cards with pre-existing messages. 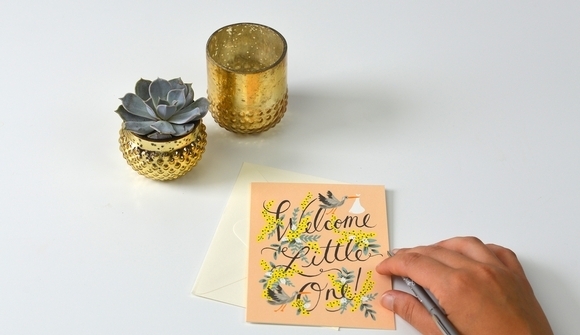 Crossing out words and adding your own twist to a pre-written card is a fun way to add a personal touch. Sending birthday flowers? Instead of reaching for a birthday themed card, try repurposing another type of card. For example, you could use a “congratulations” card to congratulate your friend on reaching a milestone birthday. Another idea would be to use an “anniversary” card to pay tribute to years spent with a coworker or friend. For example: in a card reading “Celebrating 20 years of marriage” you can cross out ‘marriage’ and add in ‘friendship’ or ‘water cooler discourse’. If you’re funny, add in a joke. If you’re more of a heartfelt person, add emotion into your message. If you’re quiet, keep it short and simple. The more authentic you are, the more your recipient will feel like they're getting a message meant especially for them. They should be able to tell the card accompanying their beautiful flowers was written by you, even if you accidentally forgot to sign it!